Sometimes there is cricket news that positively cries out for an irreverent article. In these situations, we know instantly that we should produce no such thing. It’s usually the kind of news that people email us about; the kind of topic people think we would cover well. It’s usually something to do with Rob Key or Matthew Hayden. Most recently, we followed Ireland v England and like everyone else, noticed that England did well thanks to their Irishmen, while one of Ireland’s strongest performers was an Englishman. There is nothing to say about this. We need to state that explicitly. We need to write an article about how there’s no point writing an article because some part of our brain keeps telling us that there’s a really good way of covering this and that we just haven’t thought of it yet. There is no good way of covering this. People can come up with their own jokes for this kind of thing. What would be contributing? Nothing. 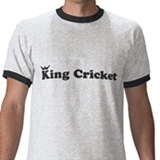 Striking cricket news that is in some way amusing is not our niche. Our niche is writing about things that are boring and entirely unremarkable. For example, we like Graeme Swann very much, but he sometimes skirts very close to ‘japes’ and ‘zaniness’. These are not topics we are qualified to tackle. 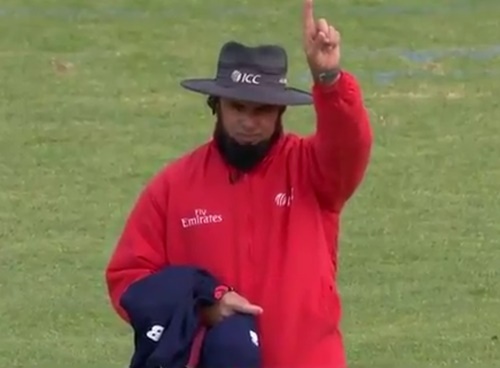 Conversely, Jonathan Trott standing on the boundary edge, vacantly admiring the architecture of the stands, oblivious to the fact that he happens to be appearing in an international cricket match at the time – that’s the kind of thing that interests us. So, regarding Ireland v England, the partnership between Eoin Morgan and Ravi Bopara was incredibly impressive considering the parlous situation they found themselves in. That’s all we have to say on the matter. We’ll be back tomorrow with more high octane thrills. Sign up for the daily email so you don’t miss a thing.